Jesus’ words about greatness and rule are especially important, since they come in the shadow of his death. He wants to remind his followers that no matter how bad the suffering, rejection and persecution get, a day will come when vindication and authority will reign. We can suffer now if we remember not only what Jesus did but also what he will do. Though the authority given to the eleven is unique, all disciples share the promise of reward and a place at the table of messianic fellowship. The cosmic battle is not just between Jesus and Satan. Anyone associated with Jesus is subject to satanic attack. Nothing makes this clearer than the section where Peter is warned about his coming denials. Jesus’ awareness of events continues as he predicts Peter’s temporary unfaithfulness. Though Peter is discussed individually in verse 32, the use of hymas, the plural “you all,” in verse 31 shows that he is only part of the coming battle. 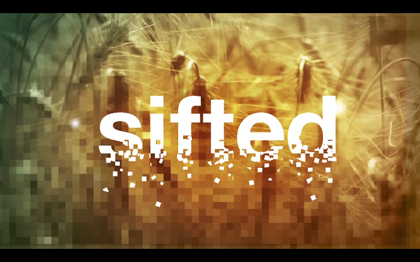 “Sifted like wheat” is an idiom that in our culture would parallel “take someone apart” (Amos 9:9 has the image). Perhaps Satan believes that if Peter is shamed, others will be disheartened. Jesus’ prayer has dealt with the threat through a request not that the failure be prevented but that any permanent damage be averted. His request is that Peter’s faith may not fail. Here is our advocate stepping to our defense through a ministry of prayer. Peter will make no total renunciation of Jesus. The disciple’s failure of nerve will not come because of a failure of heart, nor will it be permanent. There will be restoration. In fact, Peter will turn from his denial. His call then will be to strengthen his fellow disciples. What he will be able to teach them may well be revealed by his response. Having learned that failure is possible and the flesh is weak, Peter will be able to strengthen the saints. Though failure is regrettable, sometimes our best lessons come in reflection on failure. Peter is sure that he is ready to serve in prison, even to die, for Jesus. He is perceptive in that he understands that Jesus’ suffering will envelop his followers. Yet he is confident that he can face whatever comes. Though such self-assurance might seem commendable, one’s own strength is not sufficient to resist severe temptation (1 Cor 10:12-13). Peter is brave in the privacy of a quiet meal, and when the soldiers show up, he will initially take up arms to defend Jesus. But what will he do when those hostile to Jesus ask him where his allegiance lies? Jesus’ prediction of a triple denial before the rooster crows shows that he knows Peter better than Peter does. When we try to stand up to pressure in our own strength, we may wilt. Self-confidence when we are not relying on Jesus is deceptive. Peter will be able to strengthen fellow believers after his fall because he will understand how easy it is to fall. He can call on them to embrace God’s mercy, be prepared to suffer and be ready to give a defense because he will have experienced all of these opportunities himself—some with failure and others with success. Jesus teaches God’s grace in this warning to Peter: Do not trust in your own strength, but realize that after failure there will be opportunity for restoration. Jesus intercedes for his own even when he knows they will fail him. Intercession evidences the Savior’s love (1 John 2:2). Even disciples who fail in a moment of weakness can experience the success of God’s work. The lesson is an important one not only for Peter but also for all the disciples he represents. Though Satan will come after all of them, Jesus will be praying for them all. Jesus’ final words make it clear that circumstances are changing. Opposition to the disciples is rising. Where before Jesus had sent them out empty-handed yet they were provided for (9:1-6; 10:3-4), now they will have to take provisions and protection for their travel. They will have to procure a sword. Scripture such as Isaiah 53:12 is finding its fulfillment in Jesus. Jesus is rejected; he is numbered with the transgressors. The disciples take Jesus’ remarks literally and incorrectly. They note that they have two swords, but Jesus cuts off the discussion. Something is not right, but it is too late to discuss it. As the arrest will show, they have misunderstood. They draw swords then, but Jesus stops their defense in its tracks. He is not telling them to buy swords to wield in physical battle. They will have to provide for themselves and fend for themselves, but not through the shedding of blood. They are being drawn into a great cosmic struggle, and they must fight with spiritual swords and resources. The purchase of swords serves only to picture this coming battle. This fight requires special weapons (Eph 6:10-18). Humility, dependence, promise of authority and reward, warnings about opposition and the pursuit of faithfulness are the topics of Jesus’ final testament meal. Luke assumes that disciples will engage the larger world and face a great cosmic battle. But they are not to withdraw or be afraid. Rather, with humility and looking to God, they can face suffering and the world bravely and effectively. Jesus is about to exemplify the walk of the innocent before a hostile world. His success is not indicated by his withdrawal or even his survival; it is indicated by his faithfulness (1 Pet 2:21-25). Jesus had warned them they would be bullied. He told them what to do and who to fear. Yet Peter had feared man more than God. Broken and remorseful, he wept bitterly. In a moment of weakness, he denied the Lord. Yet in a separate moment of broken humbleness, he was restored. In His mercy, God will not reject, deny or disown the one who recognizes their failure and sin, and repents, not just confess the sin.